Hiring a professional wedding photographer is, without doubt, the best thing you could possibly do for your wedding. There is so much more to it than your random uncle wielding a digital SLR would ever believe, from the technical skills, to the artistic vision, to perhaps the most tricky part; navigating the day itself. Years of experience mean that professional photographers know exactly where to stand, where to look when nobody else is, and most importantly how not miss any special moments or details. Today's blog post gives us a glimpse behind the lens of a top London Wedding Photographer, Damion Mower. 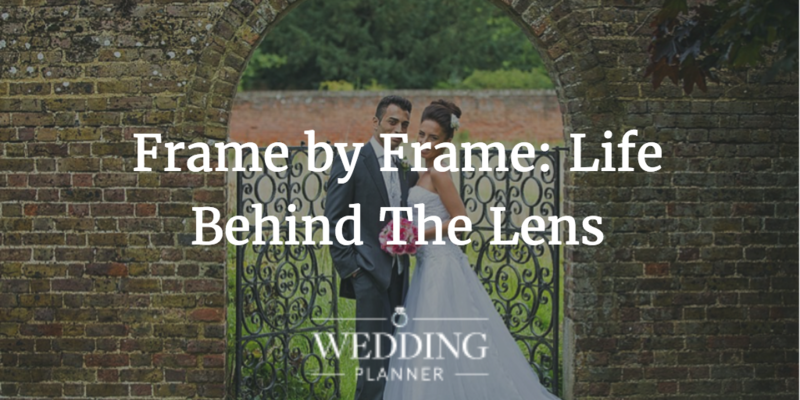 He tells us, frame by frame, how the wedding day unfolds for him and how he ensures he gives Brides and Grooms memories to last a lifetime. Over to you, Damion. Put simply I’m a storyteller. I capture emotions and energy, frame by frame, through pictures. I’m Damion Mower, a London Wedding Photographer, and this short blog goes some way to explaining how I approach your wedding day. Choosing your wedding photographer is one of the big milestone decisions you will make in your wedding planning, which is why being chosen as your wedding photographer is such a privilege. I believe wedding days are about capturing the essence of 3 things: Emotion, Electricity and Expectation. For me, it’s about the art rather than the science of photography. It’s undeniable that the equipment and the settings are important, but not as pivotal as capturing the moment. Each wedding is its own unique event, and capturing these moments is always tricky, especially when they come thick and fast during the day. Key for me is thinking about the end set of pictures and how each of them plays a part in telling the story of the day. Wedding day mornings are busy affairs, errands being run, deliveries being checked and final touches being added. I usually arrive early to get a feel for the location, even if I’ve shot there before as venues change and wedding styles are so different. I use this time to capture the establishing shots of your album, get myself into the groove and get a feel for the light conditions. As brides and grooms prepare themselves, putting together carefully choreographed outfits and accessories, I take time to record the emotion of the morning. Making sure I capture the detailed shots such as the family heirloom, the tears as wedding gifts are exchanged and kind words delivered. The tender moments between mums, dads, brothers, sisters and best friends as the hour arrives. This is one of my favourite points during the wedding day, so much emotion, excitement and expectation and as the bride is nearing ready I always try to capture a few gorgeous getting ready shots. While the electricity builds and cars whisk people to the ceremony venue, I capture the last moments of the bride with her bridesmaids and family, usually a tearful father, as the carriage takes them to the church. At the ceremony venue I’m documenting the day, out of the way and barely noticed by the bride, I’ve taken my position at the front to capture the first looks between the loving couple and the beaming smiles of the guests as everyone can’t fail to be touched by the unfolding events. Slipping back into stealth mode during the more formal part of the day, I make sure I’ve captured guests, the vows and that all-important first kiss. While delighted guests make their way to the wedding reception, I usually use this time to slip away with the newlyweds for some extra special pictures of just the two of them, pictures that they will cherish and look back on from years to come. It’s usually a light reprieve for the bride and groom as they get to spend some time together after the ceremony without interruption. You’d be surprised how little time you get together during your wedding day! And then it’s back to the reception for shots of happy guests; enjoyment, love and affection as people mingle and indulge in canapés and drinks - it’s a good time to capture the family portraits. With time drawing on, guests sit down for food, and a chance for me to set-up my lighting for the speeches and the partying. I position myself tucked out of the way but with clean shots of the bridal party, friends and family, as the full spectrum of emotions pour out for the speeches. Once the party has started I’m on the dance-floor, getting those fantastic unabashed photographs of people letting their hair down and having fun. Not forgetting the first dance and the cake cutting moments along the way. After a long day and when the party is wrapping up I will head home and reflect on the day, with a strong sense of what it means to be married, and wondering where the newlyweds life will lead them. It’s time for me to consider the shots I’ve captured and how I will pull them together into a story of the beautiful day. What most people forget is the editing or ‘wedditing’ that happens while the bride and groom are relaxing on a beach in some glorious far-flung location. Every image is individually edited with care and attention, (I don’t send them to anyone else to do), ensuring the treatment I give them truly reflects the moment I captured. They’re then choreographed into the story of your wedding day, both in a private online gallery and a beautifully crafted Queensbury wedding album (with your selected images). Being a photographer is a job I’m enormously passionate about and I can think of a lot worse things to be doing than documenting people’s love stories and sharing a moment in their lives. If you would like to find out more please contact me here, I would be delighted to be chosen as your wedding photographer.